But you, beloved, build yourselves up in your most holy faith . . . (Jude 20). Some time ago, close friends gave me a Day by Day Bible desk calendar for Christmas – the kind with tear-off sheets for each day of the year. Each sheet had a Bible verse and an encouraging quote from a Saint or other notable Christian. I referred to the pages nearly every day I was in my office. I know such things happen all the time. People attend Mass, say the prayers, hear the homily, sing in the choir, receive the Eucharist. But beneath the religious activity can lurk a Judas. In the decades I’ve walked with Christ, I’ve observed that no one ever turned away from Him overnight. It's always been a slow process. A compromise here. An excuse there. A rationalization . . . . and the heart hardens by degrees. That's one reason I bring myself to God every morning and evening in prayer, study of His word, and worship. I take the time and make the effort to strengthen myself in my faith and in my faithfulness to Him. I do so because, although I love Him with a deepening love, I fear that given the right circumstances, I could do the unthinkable and succumb to Satan's insidious deceptions. I could grow, by degrees, unfaithful to my Divine Bridegroom. And I routinely ask, Lord, help me strive to remain honest and pure. I received an email from a fellow Catholic about the Catholic Church’s call for a “Fortnight of Prayer.” The Health and Human Services mandate requiring Catholics and others to pay – albeit, we are told, indirectly – for contraceptive services started a groundswell of religious-based opposition to the mandate and has culminated in this call for prayer for religious freedom. Those who have read my blog long enough know I believe in prayer. I practice it daily. I urge others to pray. 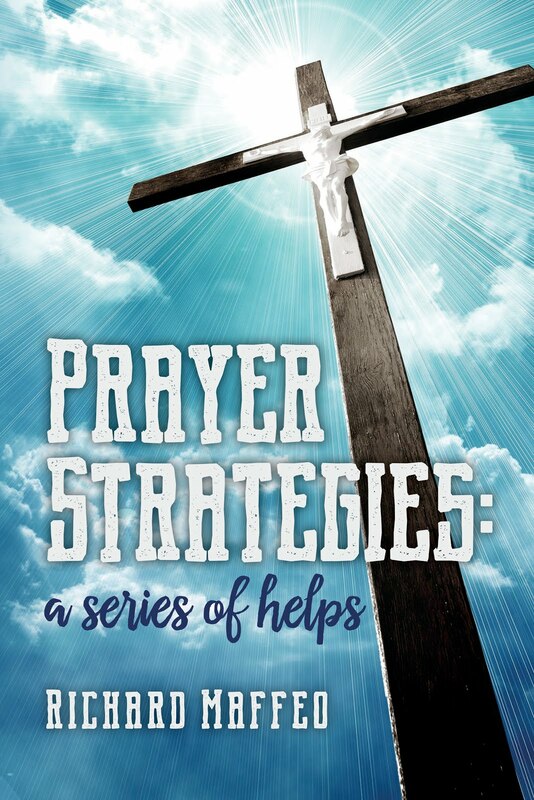 I frequently write about it on this blog, even posting a series of strategies for prayer. But I came to a realization years ago that prayer, without confession of sins and a determined repentance, is hollow at best, and a veritable stench in God’s nostrils at worst (See for example Psalm 66:18 and Isaiah 1:4, 11-17 ). Ah, Lord, great and awesome God, you who keep your covenant and show mercy toward those who love you and keep your commandments and your precepts! We have sinned, been wicked and done evil; we have rebelled and turned from your commandments and your laws. We have not obeyed your servants the prophets, who spoke in your name to our kings, our princes, our ancestors, and all the people of the land. . . .
We are shamefaced even to this day: the men of Judah, the residents of Jerusalem, and all Israel, near and far, in all the lands to which you have scattered them because of their treachery toward you. O LORD, we are ashamed, like our kings, our princes, and our ancestors, for having sinned against you . . . .
We did not appease the LORD, our God, by turning back from our wickedness and acting according to your truth, so the LORD kept watch over the evil and brought it upon us. The LORD, our God, is just in all that he has done: we did not listen to his voice. Now, Lord, our God . . . we have sinned, we are guilty. Lord, in keeping with all your just deeds, let your anger and your wrath be turned away . . . . Now, our God, hear the prayer and petition of your servant; and for your own sake, Lord, let your face shine upon your desolate sanctuary. There is a stark contrast between the prayers suggested for the Fortnight of Prayer, and this prayer by Daniel. And that, I believe, is our undoing. Certainly there is enough for individual Catholics to confess and perform honest penance as we ask God’s favor during this fortnight of prayer. But there is also plenty for the Church as a group, and its shepherds and priests on behalf of the Church, to confess and perform honest penance. The priest scandals related to pedophilia – and the Church’s typically anemic response – is just one reason to rend our garments as well as our hearts. But what of the sins of those Catholics – especially high profile Catholics – who publically support, without rebuke by their Bishops, policies and laws that directly contradict Church teaching about, for example, the Sacrament of Marriage and abortion? Or what about the sins of the Catholic laity, Religious and Clergy who publically protest against Rome regarding the role of women and the priesthood? Or artificial birth control? Or a plethora of other matters of faith and morals? 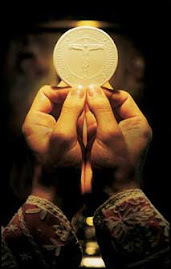 I suspect there are very few Catholics who do not know of choir directors, RCIA leaders, Faith Formation catechists, Deacons, Eucharistic ministers, ushers, and other leaders within their local parishes who act as a Fifth Column within the Church and who receive little – if any – rebuke from the Shepherds or pastors. Fortnight of Freedom? Yes, we must pray for religious freedom. But Oh, Holy Spirit! Please bring us to our knees with a heart for a good confession, true repentance and worthy penance. For then, and only then, can we count on Your promise for help, as You said to King Solomon, If My people, who are called by My Name, shall humble themselves, and pray, and seek My face and turn from their wicked ways, then I will hear from heaven, forgive their sins, and heal their land. For it is I, the LORD, your God, who brought you out of the land of the Egyptians and freed you from their slavery, breaking the yoke they had laid upon you and letting you walk erect (Lev 26:13). to let us walk erect. 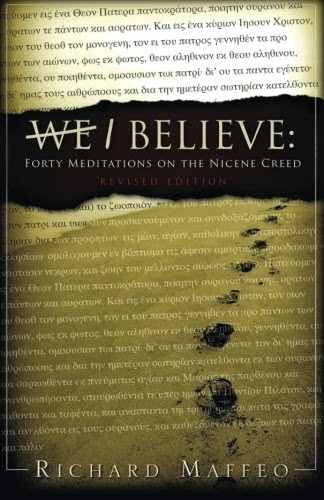 In his classic “Confessions” – the conversion story of one of Christendom’s greatest Saints – Augustine centers attention on the one incident that set his course from a life running from God to one running toward Him. Discerning what it meant, Augustine walked back to the place where he’d been reading his Bible, picked it up and read the first text that caught his eye. It was from the thirteenth chapter of Romans: Not in carousing and drunkenness, not in sexual excess and lust, not in quarreling and jealousy. Rather, put on the Lord Jesus Christ, and make no provision for the desires of the flesh. At that moment, Augustine wrote later, the Holy Spirit used the words of Scripture to capture his heart, mind and soul. Conversion occurred on the spot. Augustine was a new creation. It’s been well said, “The Bible will keep you from sin, or sin will keep you from the Bible.” Think how much poorer the Church would be today if the man we call St. Augustine had not obeyed the Holy Spirit and picked up and read the Scriptures? But what was absolutely vital to St. Augustine’s conversion is no less vital for anyone’s fundamental and ongoing conversion today. Thus it is no wonder the Holy Spirit continues to call His disciples – you and me – to do as St. Augustine did: Pick it up and read it. Pick it up and read it. Speaking to Catholics through the Catechism of the Catholic Church, the Holy Spirit declares: Access to Sacred Scripture ought to be open wide to the Christian faithful (paragraph 131). And the Holy Spirit forcefully and specifically exhorts all the Christian faithful. . . to learn the surpassing knowledge of Jesus Christ, by frequent reading of the divine Scriptures. Ignorance of the Scriptures is ignorance of Christ (paragraph 133). Study of the sacred texts, God the Holy Spirit again tells us, should be the very soul of sacred theology, through which our souls are healthily nourished . . . through the Word of Scripture (paragraph 132). To be a faithful Catholic is to be obedient to the Holy Spirit who, speaking through the Church, tells us over and over pick it up and read the Scriptures. Who has measured the waters in the hollow of His hand, and marked off the heavens by the span, and calculated the dust of the earth? . . . Behold, the nations are like a drop from a bucket, and are regarded as a speck of dust on the scales; . . . All the nations are as nothing before Him, they are regarded by Him as less than nothing and meaningless . . . Who stretches out the heavens like a curtain and spreads them out like a tent to dwell in. He it is who reduces rulers to nothing . . . He merely blows on them, and they wither, and the storm carries them away like stubble (Isaiah 40:12-24). bow at His presence . . .
and send me easily to despair. Lies I told to gain advantage. Thefts I committed because I could. Make me a new creation? from Your Presence . . .
for the blood of Jesus. Harry, himself from a Jewish background, asked the question because he knows of my Jewish heritiage and that I call myself a ‘Messianic Jew.’ He also knows I’m a Catholic Christian, and see no contradiction in the labels. After all, the first apostles were Jews, and until the events of Acts chapters 10-15 (decades after Jesus’ resurrection) Gentiles had to become Jews in order to become Christians. Harry pressed once again, and I realized we were getting nowhere in the discussion. He wanted only a few morsels of information and nothing more. So I gave him what he wanted – feeling a little annoyed in the process. If we were talking about things insignificant to our salvation such as how often Jesus fell on His way to Golgotha, or on which day of the week our Lord was crucified, sound-bites would suffice for me. But what these so-called ‘Messianic Jews’ who spoke with Harry believe had the power to destroy Harry’s faith. As St. Paul said in his letter to the church at Galatia: Those who believe such things have fallen from God’s grace; Jesus’ atonement will be of no benefit to them. This was important theology – life-giving and life-sustaining theology – Harry was asking about. But he seemed content to get from me only a few morsels to see how they tasted. I don’t know if my morsels satisfied Harry’s curiosity. Frankly, I hope they didn’t. For his own spiritual health, he - like everyone else who desires to know the savior as intimately as possible in this life - Harry needs to go to the source of our faith – the Scriptures.